We are “V Shopluka” School of folk dances, founded in 2008 by Ivaylo Georgiev and Nedko Zlatkov. With us you can learn dances from all of the folk regions in Bulgaria or just have some fun, relax and take a breather from the strenuous everyday life. As well as dancing for our own pleasure, we’ve participated in many small and big festivals throughout the years, where together with our pupils we have won many grants and awards. •	Schools for popular horo dances for amateurs, where pupils of all ages are accepted. 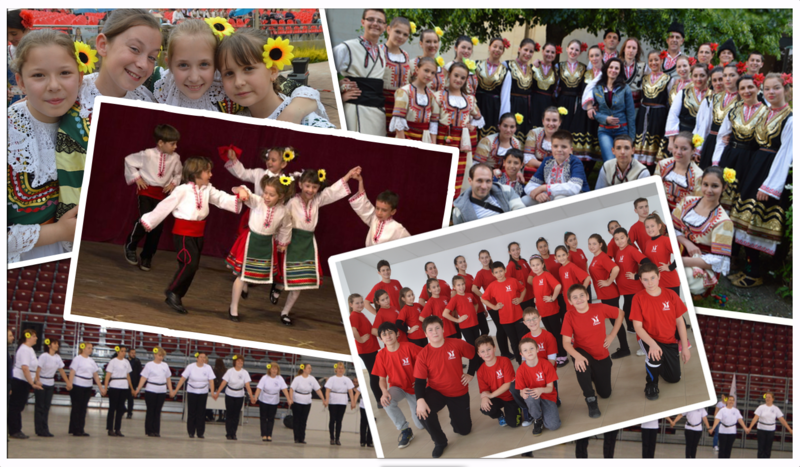 •	Kids’ dance schools and groups in all ages, at schools and preschools in Sofia and the region. •	“Bulgaria” Folk dance group, Slivnitza. Take a look at “V Shopluka” Professional folk formation here..